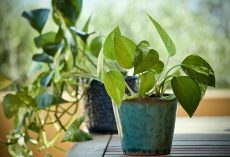 In a recent post I wrote about ways to organize your planting so as to achieve a harmonious effect. Today I am concentrating on the one color burgundy and the ways that flowers and foliage can be used to create accents and focal points as well as cultivating a range of moods. This article by Kathleen LaLiberte which I found on the Longfield Gardens website has these suggestions and more. Burgundy is a color that’s both potent and sophisticated. It’s a good one to have in your garden design tool kit. From garnet to merlot, maroon to mahogany, these dark, purple-red hues can take your garden to a whole new level. Read on for some creative ways to put burgundy flowers and foliage to work in your yard and garden. 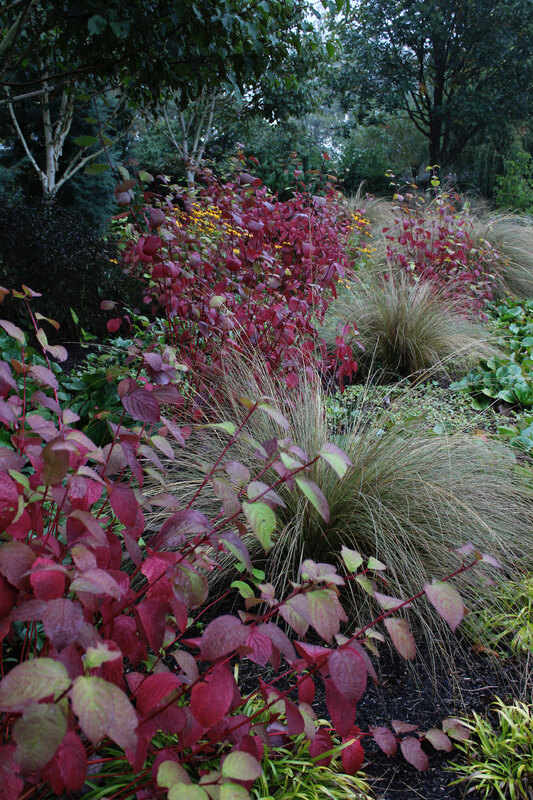 A shrubby Cornus with ornamental grasses, Bergenia and birches – in Adrian Bloom’s Foggy Bottom Garden in Norfolk, UK. In a landscape that’s dominated by shades of green, burgundy is an unexpected color that always attracts the eye. It’s also a solemn hue with a refined manner. Together, these characteristics give burgundy a gravitas that can be put to great use in a garden. Burgundy flowers and foliage are difficult to ignore, so it takes no effort to make them focal points. Weaving splashes of these darker tones through a garden will establish a sense of rhythm and guide the eye from one area to the next. Another photo from Foggy Bottom. 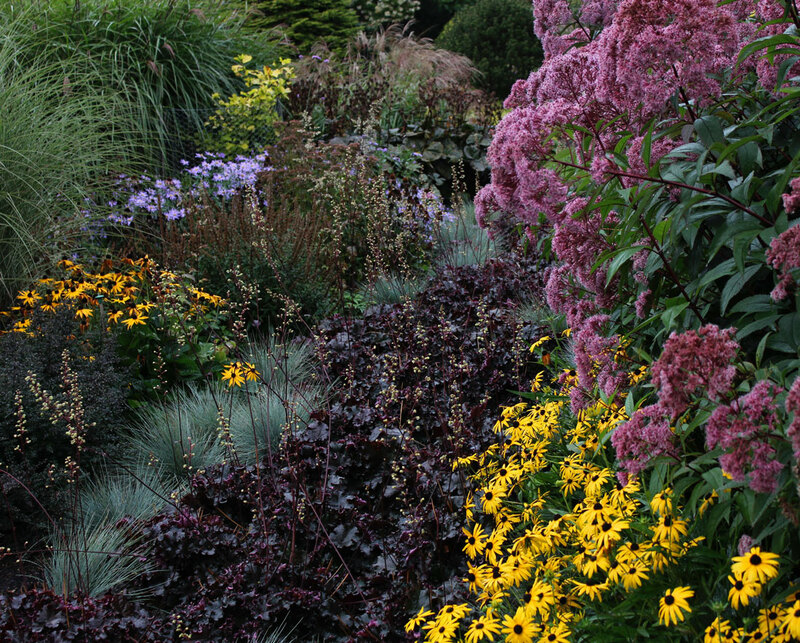 Dark-leaved heuchera with blue fescue, rudbeckia, asters, eupatorium and miscanthus. Like other dark colors, burgundy flowers and foliage tend to recede, while brighter colors come forward. This means you can use these dark tones to add depth and mystery, and make small spaces seem larger. Burgundy foliage reads like a shadow and accentuates the shape and volume of neighboring plants. 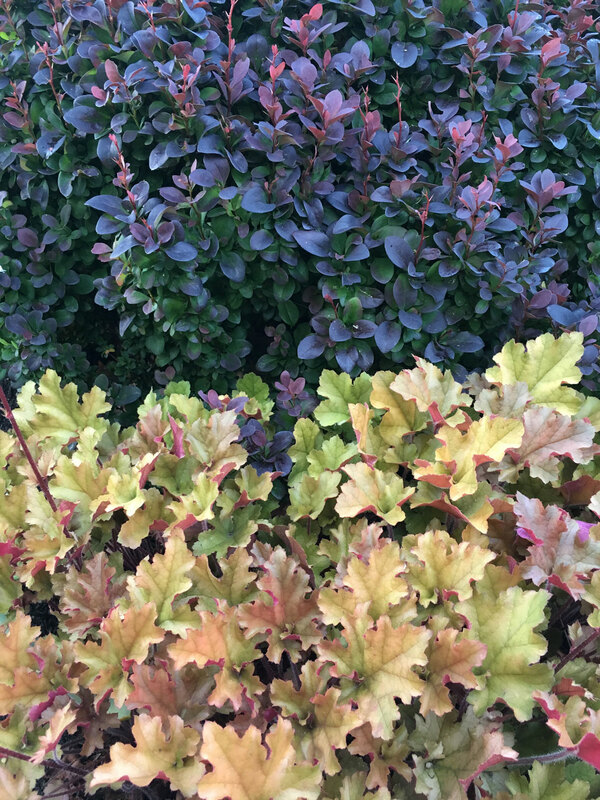 Berberis ‘Concorde’ (a non-invasive variety) with Heuchera ‘Marmalade’. This photo and the ones that follow are from my own garden.